Vortex JYM HS Hair Dryer – Vortex Industries Inc. The unique futuristic design Energy Efficient & Hygienic High-speed JYM Hair Dryer with auto sensing and a rotating or fixed nozzle will make hair drying easy regardless of its length ideal for Gyms, Arenas, Sports Club, and retro fitting. 1.1.1.2 Electrical Rating: (JYM HS) 1050 watts, 10 Amps, (110 – 120VAC, 50/60 Hz). 1.1.1.3 Electrical Rating: (JYM HS) 1050 watts, 5.2 Amps, (208-240VAC, 50/60 Hz). 1.1.1.4 Wi-Fi integrated technology can be monitored at distance for defaults such as motor and heater element failures. 1.1.1.5 Nozzle Type: single port multi directional for diffused, comfort dry. 1.1.1.6 Intake Air Filter: coarse foam type air filter to capture lint and debris from air. 1.1.1.7 Air Flow: 70 CFM at 246 mph (21648LFM). 1.1.1.8 STERI-DRYTM germicidal technology UVC bulb. 1.1.1.9 Motor: through-flow discharge vacuum type with automatic reset 1.5 HP, 32,000 RPM. 1.1.1.10 Electronic Controls: automatic optical sensor. Operates while hair is under blower. Auto shut off after each 60 second cycle. Hair must be placed under dryer to start dryer. 1.1.1.11 Heater: nichrome wire element mounted inside ceramic housing with dual level safety protection – automatic resetting thermostat to open when air flow is restricted and close when air flow is resumed with back-up one use thermal cutoff. Heated air temperature is 111 degrees F (44 degrees C) at an ambient of 70 degrees F (21 degrees C). 1.1.1.12 Warranty: 10-year manufacturer limited warranty (not including replaceable filters or germicidal bulb). 1.1.1.13 Sound Level: 78 dBA at operator with hair under unit; 68 dBA at 39.5 inches (1 meter), without head under unit. 1.1.1.14 Anti-microbial features inhibit the growth of bacteria, mold and fungus, extending the dryer’s service life. 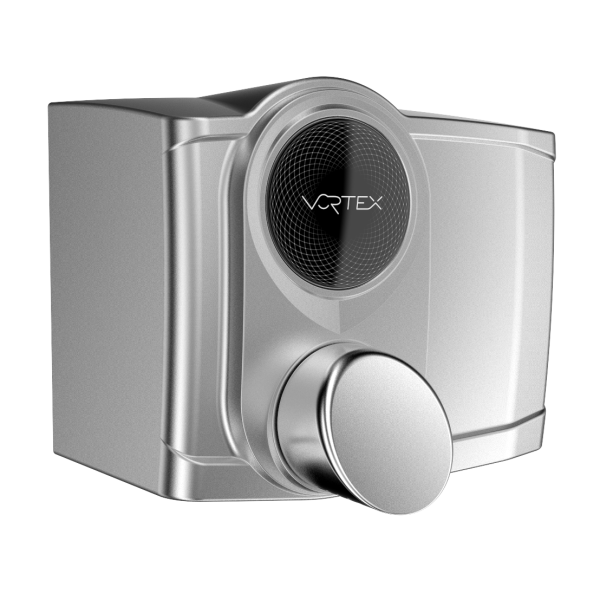 We at VORTEX DRYERS take the greatest care and pride in manufacturing outstanding hair and hand dryers (THAT) meet the needs of the most demanding. To insure our customers of their entire satisfaction we have taken the following initiative in putting together the best warranty and return policy that exists to our knowledge. 1. A Warranty Policy Statement along with installation template and instructions (ARE) packed with each dryer manufactured by VORTEX DRYERS. 2. All VORTEX DRYERSUNITS MUST BE REGISTERED TO ACTIVATE WARRANTY. 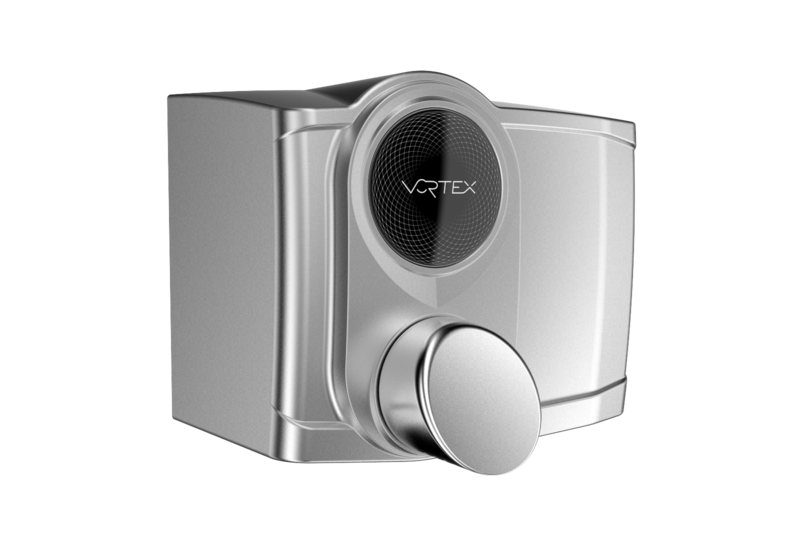 In essence, VORTEX DRYERS warrants the consumer that it&#39;s products are free of defects in either material or workmanship. If, during the 10-year warranty period following a purchase by the end user, if a consumer finds that a Vortex supplied dryer is defective, Warranty shall include labor performed at factory as well as the repair or exchange of defective parts, at manufacturer’s option. 3. A Returned Goods Authorization number (R.G.A. #) MUST first be obtained from VORTEX DRYERS, for defective goods or components being returned This R.G.A. system allows us to properly track and document each return and assure that the necessary follow-up is done. Returned Goods which do not have an authorized R.G.A. number will not be accepted by VORTEX DRYERS. 4. Warranty covers all mechanical or electronic defects. It does not cover wear and tear. It does not cover misuse or abuse. It does not cover air filter or Germicidal bulb. It does not cover transportation or freight costs or any on site labor charges associated with repair. Our warranty policy, if properly explained by the distributor, will provide the purchaser with the deserved protection without the problems of misunderstanding. 5. Warranty requires that the purchaser with a defective dryer or component return it, prepaid, to VORTEX INDUSTRIES INC. or one of its authorized distributors. If, upon examination, the product is found to be defective within the warranty period, the faulty parts will be repaired or replaced without cost. What is the VORTEX DRYERS DIAMOND WARRANTY? The Diamond Warranty is optional and covers the complete unit against technical defaults as well as vandalism for a period of 10 years. What is the cost of the Diamond Warranty? The one-time fee is $74.80 plus local taxes. This can be paid on-line by credit card when registering your Vortex Dryer. How does it work? From the original date of purchase of the dryer by the end user and for a period of 1 year VORTEX DRYERS will replace the defective or vandalized dryer with a new replacement unit. (Scratches, graffiti or intentional damages are not considered as vandalized units). 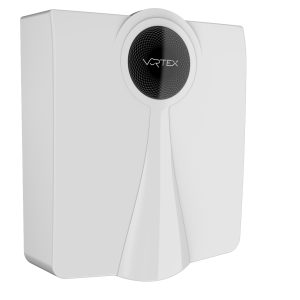 Should your Vortex Dryer become defective or vandalized for years 2, 3 and 4 you will have the possibility of receiving a new unit for 30% of your initial cost (original invoice will be requested). As of the remaining 10-year warranty we will replace your defective or vandalized unit for 50% of your initial cost (original invoice will be requested). The Diamond Warranty covers replacement parts except for the coarse air filter and the germicidal bulb as well as on site labor costs or shipping and handling. 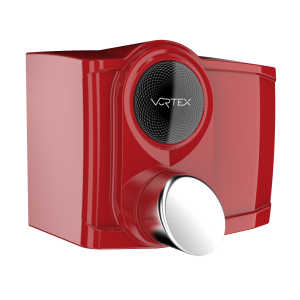 · Can I send my defective or vandalized dryer directly to Vortex Dryers or any authorized VORTEX Dealer? Yes, but first you need to call us to obtain a Return Goods Authorization (RGA) number. This number helps us quickly track the status of your product. In North America, call 1-844- 9VORTEX. 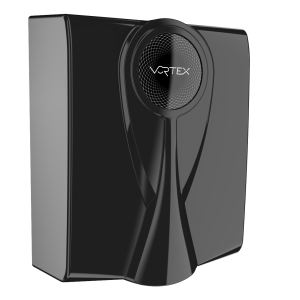 Vortex Dryers customer service representatives are available to assist you Monday through Friday, 8:30 AM to 8 PM ET and Saturdays from 9 AM to 5 PM ET. A copy of this RGA must be attached and visible with the returned dryer. If your product has been registered and is covered by our EXCLUSIVE DIAMOND WARRANTY and you plan to send it to Vortex Enterprises for replacement, please have your credit card number available to cover shipping and replacement costs. Please fill out to register your dryer warranty. Once the above information has been filled out please send by E-Mail: vortex.warranty@vortexdryers.com or Fax: 514-312- 1209. A confirmation # will be forwarded to you once we have registered your dryer, please allow 7-10 days’ lead time. © 2016 Vortex Industries Inc.All rights reserved.